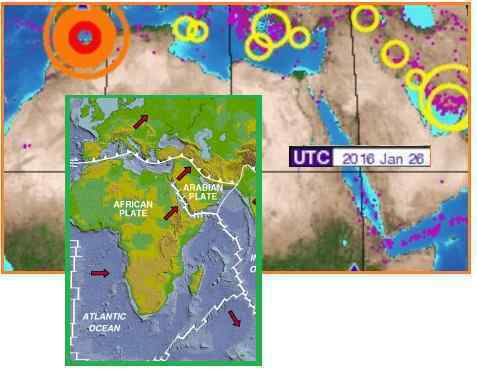 The Straits of Gibraltar have been shaking, and earthquakes have spread along the plate border between the African and Eurasian plates, through the Mediterranean and even outlining the Arabian Plate, which is affected by the African roll. This is something predicted by the Zetas for the African roll. They predicted the distance between Spain and Africa would increase by 125 miles as a result of the 7 of 10 plate movement. ZetaTalk Prediction 12/4/2010: The roll of Africa, as we have described, will be more of a twist in place, so that the southern tip of the African Plate shifts somewhat to the west, toward the void opened up by the spreading Atlantic Rift, while the plate overall drops enough that having the top part shift to the east does not do damage along the plate boundaries. The Straits of Gibraltar will open an additional 125 miles and the northern point at Morocco will move 50 miles further east. All points around the northern border of Africa will move commensurately. S Africa will find itself similarly 125 miles further south, and westward by about 35 miles. Indonesia, as we have described, is already buckling and sinking. On January 25, 2016 a major quake occurred in Gibraltar that was at first reported by the USGS as a 6.6, then as a magnitude 6.1, but then was finalized by the USGS at magnitude 6.3, all for the same event – 5172281. Aftershocks continued, as had the pace of foresocks. 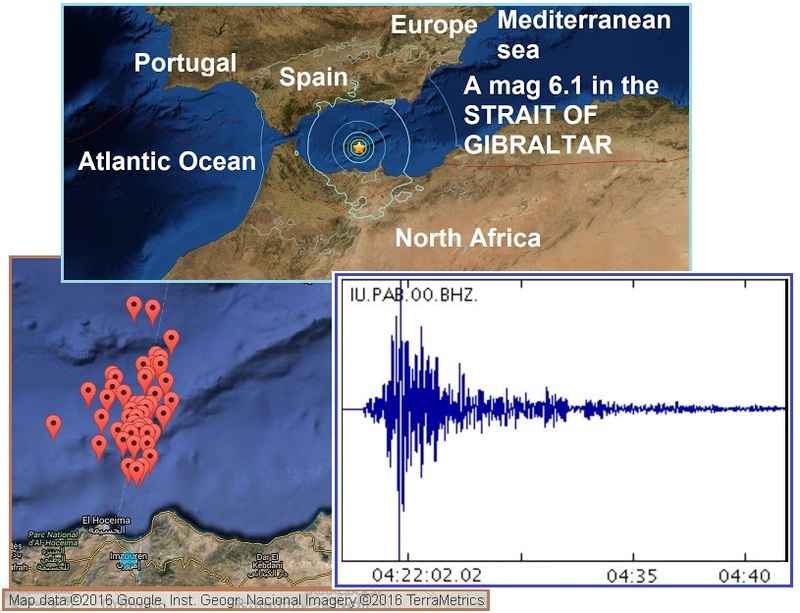 A mag 6.1 in the STRAIT OF GIBRALTAR is the second major quake in two days. The quake struck this morning in the Mediterranean sea, almost in the middle of the Strait of Gibraltar. The quake is the 11th major earthquake of this month and of 2016. The magnitude 6.3 tremor had its epicentre about 48 miles north-west of Melilla, a small Spanish city surrounded by Morocco and the sea, at about 5.22am local time (4.22am GMT). The quake had earlier been reported by the USGS to have had a magnitude of 6.6 and then 6.1. In February 2004 a strong 6.3 earthquake that hit near Al Hoceima killed 631 people. 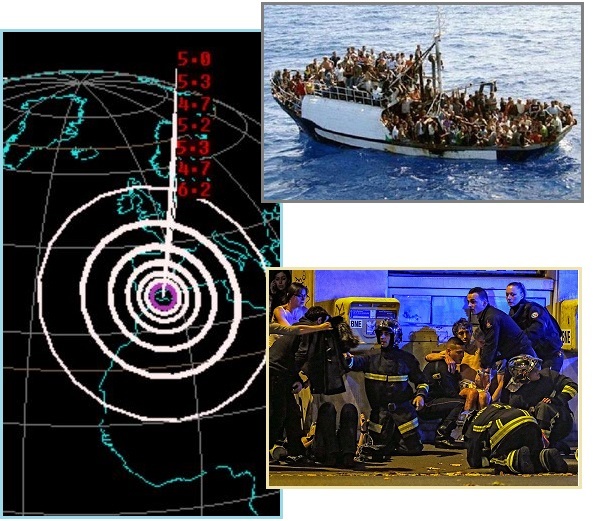 What relationship does the uptick in quakes through the Mediterranean have to the decision in France to continue its State of Emergency, in place this past year since the Charlie Hebdo attack? Per the Zetas, there is a direct relationship. Chaos, confusion, distraction and an increase in illegal immigration will result as the quakes increase. Islamic State is actively focusing its attention on conducting large-scale attacks in Europe similar to those last year in Paris, the head of the EU’s law enforcement agency has said. Since last spring the country’s intelligence services had foiled 11 terrorist attacks, some of which had been ordered by the Islamic State attackers behind the Paris atrocities. The Europol report says Islamic State is preparing more mass gun and bomb attacks of the sort seen in Paris and, in 2008, in Mumbai, “to be executed in member states of the EU, and in France in particular”. Terrorists struck France in a series of attacks last year, which began with shootings at the satirical newspaper Charlie Hebdo in January. The government introduced a state of emergency after the November attacks, but the move has been criticised by civil liberties groups. It is due to expire on 26 February, but last week the Elysée Palace announced it would seek to extend it for another three months. ZetaTalk Insight 1/30/2016: Should France maintain their state of emergency, in light of continuing terrorist attacks? Absolutely. They were attacked twice, recently, during the Charlie Hebdo attack a year ago and again during the Paris attack in November, 2015. France is a very visible leader in the fight against ISIS and oppression in the Middle East. They were quick to fight Gaddafi in Libya, have joined Russia in the fight against ISIS in Syria, and have espoused a Palestinian State, despite objections from Netanyahu. We warned that only a strict crackdown on sleeper cells and more control over the flood of refugees would protect Europe from repeated attacks. This is even more important now that the African roll has picked up steam. Earthquakes along the African border with the Eurasian Plate will disorient the populace of North Africa and southern Europe alike. High tides will develop, suddenly, swamping boats. Without an explanation of why the African Plate is rolling, and what the outcome will be, people will be given to panic and speculation. Thus distracted, more illegal immigration into Europe will occur, supplying sleeper cells there. If a quake happened at Gibraltar on January 25, 2016 then what happened across the Atlantic from Gibraltar on January 26, 2016 – a day later? And what about two days later? Booms and rattling buildings occurred, but this was not a sonic boom as asserted by the establishment. The USGS Twitter account was alive with skepticism. But seems like the "Noise" from the Sonic Boom is missing from the "People Reports"
I hear the war games at the base every time they do it. I surely should have heard a sonic boom. Earthquakes rumble, sometimes loudly, but window-rattling booms - multiple times - are not what happens! 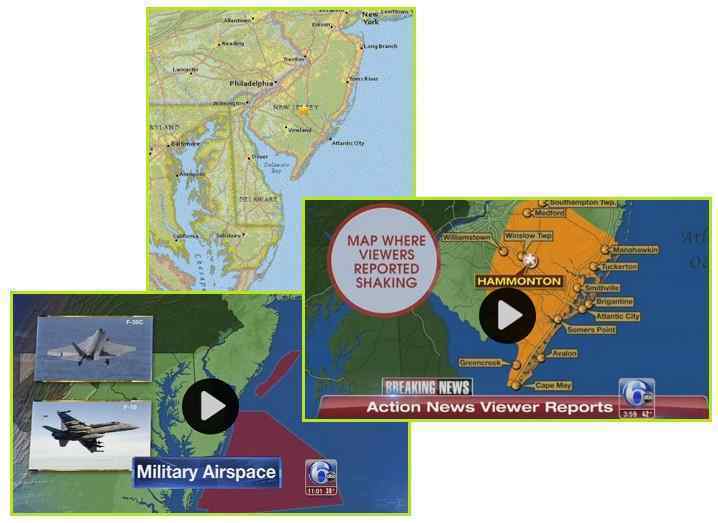 Explain to us how 1 sonic boom can cause 6 tremors over 30 minutes from #nj to #ct and I'll believe you. I live right by the base - no jets flying around and no sonic boom noise. Why did one sonic boom create reports of six distinct tremors over hours? And why didn't Hammontonians feel it if that was location? Note New Jersey is directly across the Atlantic from Gibraltar, so that a rip in the Atlantic would move laterally from Gibraltar to New Jersey. This cannot be a coincidence. The Zetas explain. The rumbling and shaking heard across the Lowcountry [Jan 26] afternoon may have come from a group of F-18s on a training run creating a sonic boom. The rumbling and shaking heard across the Lowcountry [Jan 26] afternoon may have come from a group of F-18s on a training run creating a sonic boom. Mysterious shaking in New Jersey [Jan 28] sent Twitter users into a frenzy over concerns of an earthquake. 'Earthquake-Type' Shaking Reported in NYC Area; Did you Feel It? Residents of New York and New Jersey experienced "earthquake-type" shaking multiple times [Jan 28]. Others felt the ground shake around 1:30, 2, 2:15 and 2:25 pm. A Navy spokeswoman says an F-35C and F-18 from Naval Air Station Patuxent River, Maryland, were conducting supersonic testing off the coast [Jan 28] afternoon. The F-35C has a top speed of nearly 1,200 mph. Residents reported hearing loud booms and feeling the ground and buildings shake. The booms were heard as far away as Connecticut. Navy spokeswoman Connie Hempel said supersonic tests flights are done almost daily in the same area but that most sonic booms aren't felt on land. They are conducted offshore in an area called the Test Track, parallel to the coast of the Delmarva Peninsula which is occupied by Delaware, Maryland and Viriginia. ZetaTalk Explanation 2/6/2016: It is no coincidence that a notable quake at Gibraltar on January 25 traveled across the Atlantic to create booms and “earthquake-type” shaking multiple times, over many hours, on January 26 and January 28. What struck New Jersey was not sonic booms from military training runs that are reportedly done almost daily. Nor did the booms heard from Connecticut down along the East Coast to Georgia result from sonic booms off the coast of New Jersey. This is snapping rock, caused by the Atlantic pulling apart. Africa rolled, the Atlantic at the western edge of the African Plate pulled open into a void, and New Jersey lost elevation and support, drooping, as a result. If those in the Service-to-Other are most often humble, quietly working behind the scenes, but those in the Service-to-Self are clever at putting on the mask of kindness, how to sort them out? The Zetas have stated that old souls, those who have lived many lifetimes, can usually readily detect a Service-to-Self individual via a quick soul-to-soul contact, but most humans are not old souls. Many seek guidance from the Zetas on what seems to be perplexing contradictions. There are a number of us working hard to understand how to best handle individuals of different soul orientations and although in most cases it is clear what an individual's choice is, there is one scenario where we are confused and wondering if the Zetas could help us understand it better. There are individuals who really, genuinely do a lot of good for others - teachers and healers who have helped others through very rough times. These individuals appear to go 'above and beyond' for others all the time, and yet they also seem to always need to be in control and in power in every situation, always need to be right and the leader and even go so far as to lie and manipulate others for personal gain. This is intensely confusing, as on one hand they behave as if they are highly 'in service' and they really, actually do help other people and regularly/daily display behaviour that is Service-to-Others, but then they also display behaviours that are classic Service-to-Self - needing to be in control and in power over others all the time. Are they undecided and conflicted? Is this a very sly manipulation tactic by souls who are Service-to-Self (helping other people to gain trust/status/respect from others)? Or a clash of different Service-to-Others methods and beliefs about the best way to get things done for the highest good of those around them? We have read and re-read all the material on Zetatalk in an attempt to understand this, and spent a lot of time debating this and trying to figure it out but we have not reached a workable conclusion. Any information that can be offered to clarify this is deeply, deeply appreciated. ZetaTalk Explanation 2/6/2016: We have stated that to determine the orientation of a person or organization, look to the outcome of their actions. Yoda was grumpy, often critical or reluctant to support others among the Jedi, but was fully involved in the fight against the Dark Side and regularly risked his life. His actions, and the outcome of his actions, showed his orientation. Many who are leading a group will react in an autocratic manner, to achieve their ends. This issue is not whether orders are being barked, for instance to get out of the way of a pending tsunami, but the intended outcome of these actions. I have a question in reference to Service-to-Self and Service-to-Others type of relationships. My son and I have spent hours this evening talking about this and we are trying to figure out if there is line that must be drawn or gets drawn in these types of relationships. Both he and I are very much Service-to-Others type of people and his partner is Service-to-Self. He has been with her for 4 years and has tried everything to "spark" her spirit and is at a point of not knowing which way to turn. We know that people can change but does there come a time when one needs to let go of the present task and move on to continue being the person you are truly meant to be? I have seen people literally die from trying to make another person happy and it’s something that I still don't understand. I also know that there are people out there awaiting for a Service-to-Others type of person to find them and help them get on that track of peace and happiness. If you could help me to understand this I would be so grateful and appreciative of it. ZetaTalk Advice 1/30/2016: A person operating in the Service-to-Other has several paths they can choose to take. They can of course simply give into every demand made by others, be a rug-rat, be a servant without questioning the motives of the others, and thus become exhausted being a mere extension of another who most likely would be highly Service-to-Self. Unless the Service-to-Other individual learns to push back, and employs this right, they will ultimately find themselves a servant of those in the Service-to-Self, as these individuals push all other competitors aside, grasping at assets for themselves, to be under their control. Thus, in this setting, the Service-to-Other individual would be merely an extension of Service-to-Self motives. Those who are highly Service-to-Self in fact attempt to enslave the Service-to-Other, ensnaring them into such a relationship, because those in the Service-to-Other are attentive, perceptive, and self-sacrificing. An individual who has not yet decided their orientation will be less reliable, and likely to complain and procrastinate. Since those in the Service-to-Self are adroit at masking their motives, or adroit at putting on the façade of someone in pain, in need, it is not uncommon for those in the Service-to-Other to find themselves in a relationship with a highly Service-to-Self individual. This master/slave relationship may not be apparent at first, but if suspected there are tests that can be done. Request assistance from the Service-to-Self individual, in a setting where your request is entirely reasonable. Those in the Service-to-Self have such an aversion to the master/slave relationship switching about, even to a small degree, that this request will be rejected out of hand. The question now becomes what to do. If this is a friendship, a romantic relationship, a partnership in business, the answer is clear. Sever all dealings with the Service-to-Self person. If the highly Service-to-Self individual has control over others, and can harm them, then a firm stance replaces severing relationships. For instance, if the Service-to-Self person is pregnant, or has the dependent children, then a closely monitored relationship of visitations and inspections to prevent child abuse or custody battles might ensue. Most often, the Service-to-Self person will not be interested in responsibilities unless great wealth or control of others can ensue. Cut away those advantages, and dependents can be rescued from the grasp of the Service-to-Self, who will freely abandon them. The Zeta advice has not changed since the start of the ZetaTalk saga. It’s not easy to determine, for young souls, but if one looks to the outcome, this is a solid guide. ZetaTalk Advice 7/15/1995: There is a common misunderstanding, that being that Service-to-Others is all bleeding heart concern and the Service-to-Self is snarling greed. Nothing could be further from the truth. These animals come in various sizes and shapes. One must look for the key characteristics, in fact, to even identify them. An example, look to ourselves. We are Service-to-Others Zetas. Do we not defend ourselves? Do we not have particular goals we press? Do we lie down and let others walk all over us? Yet we are concerned for the general welfare and work hard to improve this for ourselves as well as others. Likewise, the Service-to-Self are often misunderstood. As we have mentioned elsewhere, they can be charming and diplomatic. The key is the goal, not the goal stated, which may be packaged to appeal to those to be duped, but the actual goal. In sum, the Service-to-Others individual may be gruff, distracted, disheveled, and inaccessible. But what are they working toward? How do they react when a truth test comes, where they must be willing to sacrifice themselves for others? Do they come through? And the Service-to-Self individual may be suave, seemingly generous, even defending others. But when their welfare is lined up against another, when they must truly share and words are asked to be replaced by actions, what then? A member of the Pole Shift ning has sought out examples of those operating in the Service-to-Others, as role models, and found them among the CNN Heros. Zetas have told us endlessly that we should take advantage of these opportunities for spiritual growth during the Transformation and the time of the PoleShift. I have stumbled upon these YouTube videos of a handful of human beings who have clearly showed what it really means to be Service to Others and I like to share them with you today. The actions of these incredible individuals bring me joy and I believe that they can give you some ideas on how to be Service to Others when opportunities arise! If you have any other inspiring Service to Others stories, please share them with us in this forum. Life is short - lets work together and make a difference! 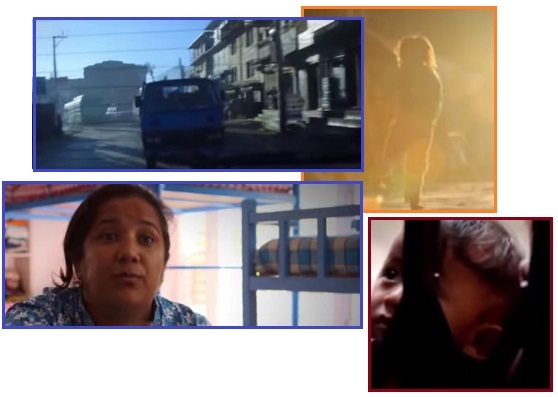 Efren Penaflorida, who has created a mobile classroom in the slums of the Phillipines, where children pick at garbage rather than go to school. He engages teenagers to run this school, and also gives the teens employment as they would otherwise turn to becoming gang members. He tells them “We are the change that this world needs to see”.